One of my grocery saving strategies is to shop with coupons hopefully paired with a sale for extra savings. Another piece of my money saving puzzle is to buy the items we use on sale (preferably with a coupon for additional savings) before we need them. They call this stockpiling. Unlike what TV shows want you to believe, stockpiling is NOT cramming your basement with as much cheap food as you can get your hands on. 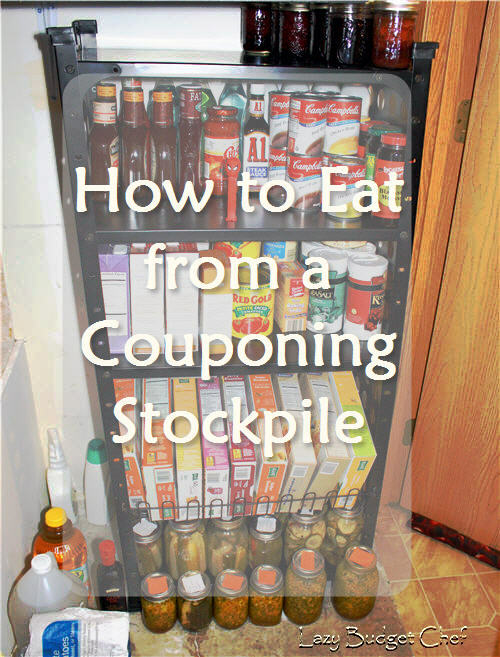 Stockpiling is not about hoarding food. It's about planning and buying food when it is on sale (hopefully pared with coupon for extra savings) to use when you run out and the item is not on sale/coupon. However, no matter how expensively you bought it or expensive an amount, a stockpile of food does not save you any money until you actually use it. 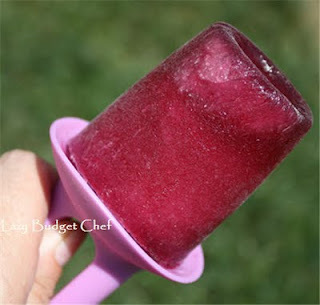 Once I declared 2011 The Year of the Popsicle, my Popsicle making experiments are going well. I am getting kiddos that hate anything remotely healthy to eat my variations of juice and fruit pops, which makes me happy. Now it is time for something more a bit more grown up Vodka Popsicles! Pin this homemade Popsicle recipe for later! Oh yes, my friends, I'm ready to teach you how to make booze infused Popsicles because I can't invite you over for a BBQ and a taste of my delicious experiment. I would if I could but my yard is too small to host of all you.